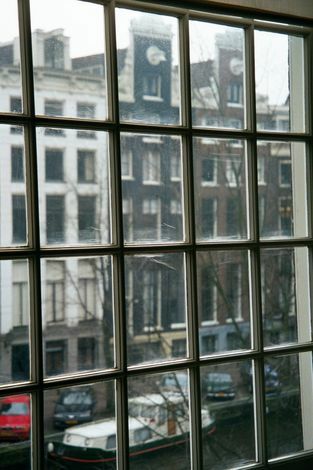 Amsterdam has VOC vestiges, too. 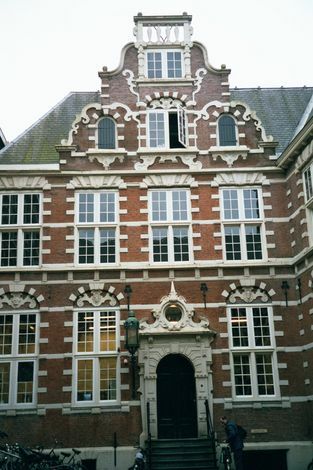 A side entrance. 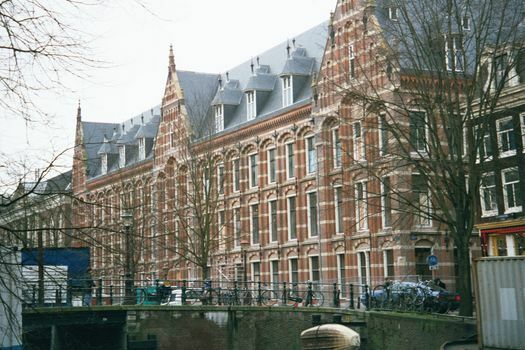 The bicyles hint at the building's current use as part of the University of Amsterdam. 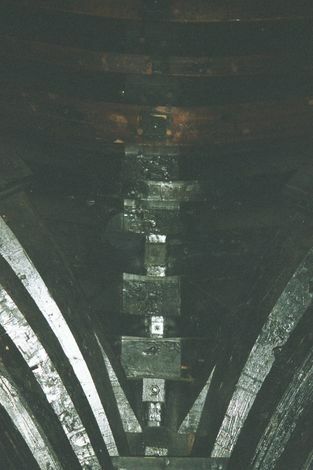 The massive keel, once buried with cannon and saltpeter for ballast on the outward voyage and with tin or saltpetre on the return. Pepper was laid in next and covered with textiles--cheaper ones, then more expensive. 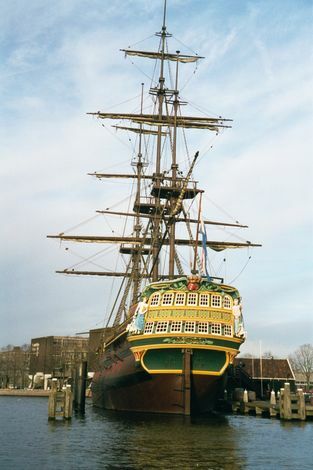 This replica was made of laminated tropical woods, rather than the original solid oak. 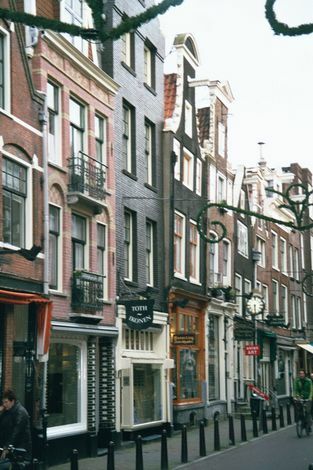 A typical street in the city "centrum," where most of the VOC employees presumably lived. The view from within. Feel a bit chilly? 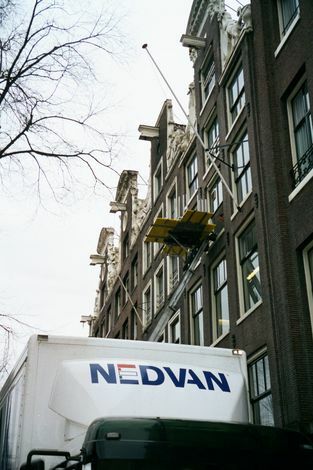 Just in case you wonder how movers operate these days, now that the old block-and-tackle rigs (up there on those neck gables) are ornamental. 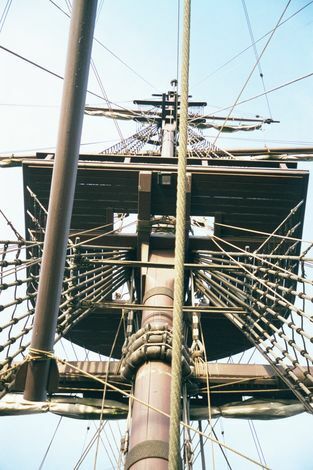 That wooden platform you see on the oversized ladder is motorized and runs up and down on wheels. 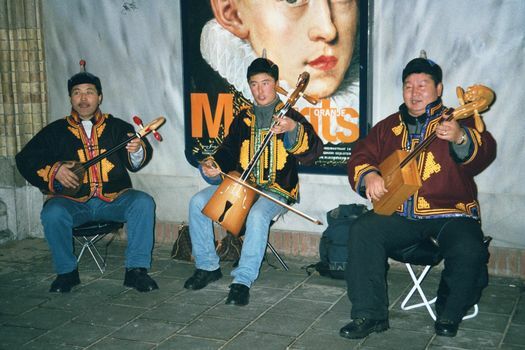 Tuvan throat-singers echoing under the Rijksmuseum--and selling their own CDs. A nice indicator of the city's continuing cosmopolitan character.